WASHINGTON (CNS) — Catholic and international aid organizations are pressing for an end to Yemen’s worsening war, where the United Nations says one child dies every 10 minutes. David Beasley, executive director of the World Food Program, called Yemen “the world’s worst humanitarian disaster in 100 years.” Half of Yemen’s 28 million people are on the brink of starvation and the country is suffering from the worst cholera epidemic in modern history. 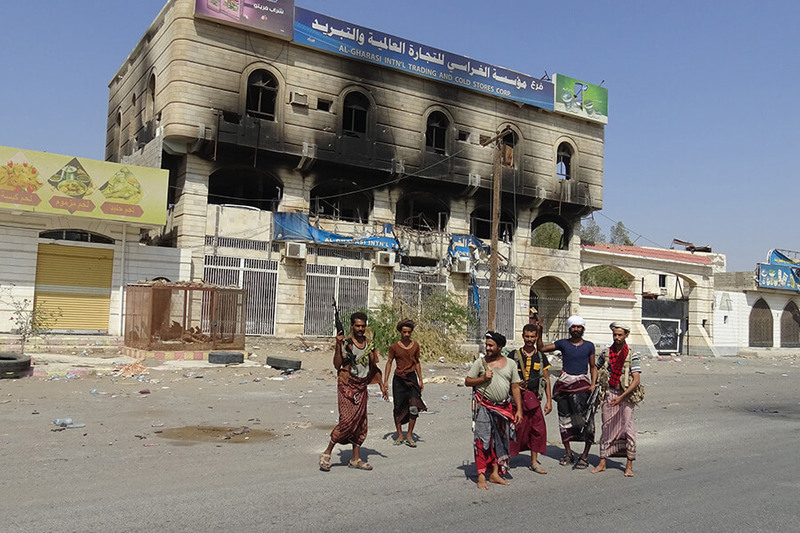 “The humanitarian disaster in Yemen is of horrific proportions,” Kevin Hartigan of Catholic Relief Services told Catholic News Service, describing the crisis erupting in the impoverished nation at the tip of the Arabian Peninsula which is embroiled in a nearly four-year-old conflict. “More certainly needs to be done to assist a population that is on the brink of starvation, and we intend to expand our response with the generous support of Catholics in the United States,” said Hartigan, the agency’s regional director for Europe, the Middle East and Central Asia. Meanwhile, CRS continues to support its partner, Islamic Relief of Yemen, while working to establish a presence in the country, Hartigan added. Its support has included funding and technical assistance in response to the cholera epidemic and providing emergency relief in the besieged humanitarian port city of Hodeida. Recent fighting between Iranian-backed Houthi rebels occupying Hodeida and government militias supported by Saudi Arabia and the United Arab Emirates threatens to push the country into a full-blown famine. Up to 85 percent of food passes through the Hodeida port. “Yemen has become a hell on earth for millions of children,” said Geert Cappelaere, UNICEF regional director for the Middle East and North Africa. More than 400,000 children are starving and another 1.5 million are acutely malnourished and need aid to survive, he said. “Today every single boy, every single girl in Yemen is facing extremely dire needs,” Cappelaere recounted after a visit to children in hospitals there earlier this month. Aid workers report rising numbers of internally displaced Yemeni civilians. Often they live on breadcrumbs and leaves. Medics have said the number of deaths linked to food-related factors is spiraling. “We see immense suffering in the faces of children whose young lives have been stunted by malnutrition, and the agony of their parents who can only watch their children waste away,” said Giovanna Reda, head of Middle East humanitarian programs for CAFOD, the overseas aid agency of the Catholic bishops of England and Wales. Hunt visited Saudi officials Nov.12 urging them not to risk a humanitarian disaster in pursuit of military victory. As many as 150 people had been killed in air raids on Hodeida in the previous 24 hours, according to news reports. “A comprehensive cease-fire across the country is urgently needed now, to halt the suffering of millions of people,” Reda told CNS. “Humanitarian access is vital to reach vulnerable families on the brink of famine. … Any disruption of (Hodeida) port’s operation will severely affect our ability to get emergency aid to where it is needed most,” Reda said. Signatories to the appeal included CARE International UK, Christian Aid, International Rescue Committee and Norwegian Refugee Council. Pope Francis repeatedly has urged the international community to make every effort to end the Yemeni crisis. Washington, however, continues to sell billions of dollars in weapons to Saudi Arabia. Until early November, the U.S. also helped to refuel Saudi planes used in bombing raids in Yemen. The U.S. and Great Britain pressed Saudi Arabia and its allies to end the war against the Houthi rebels Nov. 12. The U.N. reported Oct. 24 that at least 6,660 Yemeni civilians have been killed and 10,560 injured in the war. The fighting and a partial blockade of the Hodeida port have left 22 million people in need of humanitarian aid. The cholera outbreak has affected 1.1 million people.